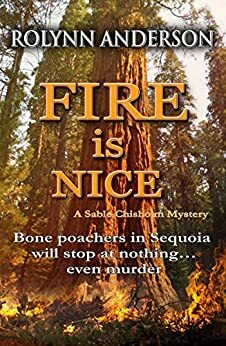 Fire is Nice (A Sable Chisholm Mystery Book 1) - Kindle edition by Rolynn Anderson. Romance Kindle eBooks @ Amazon.com. Bone poachers pillaging Sequoia National Park will stop at nothing…even murder. Can two rangers, at cross purposes, smoke out the thieves?Sable Chisholm suffered an on-duty brain injury, which eliminated her sense of fear and made her a pariah at the FBI. In Sequoia, her assigned partner is Carter Glass, a loner of a ranger, successful at solving park problems with statistical analysis. The miss-matched pair must collar criminals stealing Pleistocene era bones from park caves.The murder of a ranger and evidence of staff treachery ramps up the investigation, further challenging Sable and Carter’s partnership. She’s blazing with ideas, hell-bent on solving the mystery, while he calculates strategies, tormented by her risk-taking. The stakes are sky-high. If they don’t catch the poachers, they reduce their reputations to ashes…or die trying. Law Enforcement (LE) Ranger Carter Glass is happy working solo in his computer cave in Sequoia National Park when an unwanted partner is thrust upon him. FBI Special Agent Sable Chisholm is equally annoyed with being reassigned as an LE Ranger in Sequoia National Park to investigate ancient bone thefts—with truffles on the side. When Sable arrives with her pet donkey named Wheezer and a pig named Chops and takes occupancy of a nearby cabin, Carter takes cover, preferring the company of his computers to the attractive, extremely direct woman. Sable thinks Carter could be a decent partner—if he’d come out of his cave. Forced to work together to investigate an attack on a park ranger in addition to the ongoing thefts of national treasures, Sable and Carter come to an uneasy truce. But can this truce grow into something more than a partnership? You must read this fast-paced, well-researched, suspense story to find out. I give it 5 Pig Snorts, 5 Donkey Brays, and 5 Stars! Rolynn Anderson's fascinating read is full of interesting characters involved in solving the mystery of artifacts disappearing from the Sequoia Park caves and karsts. In the process we fall in love with the lead characters and a couple of animals, a donkey and a pig, who help to catch the criminals selling their cache on the internet and presenting a danger to rangers and visitors alike in the park. Rolynn has presented very human characters and painted a picture of the beauty to be enjoyed at Sequoia, in a plot with lots of turns and twists to keep the reader intrigued. 5.0 out of 5 starsAnother great read from Rolynn Anderson! Ms. Anderson's latest book did not disappoint. She has an educator's knack for weaving well-researched facts into her books in such an entertaining way that you don't realize you're getting a lesson, while her interesting plots keep you turning pages, eager for more interaction with the engaging characters she creates. Can't wait to see what's next for Sable and Carter, Wheezer and Chopper! Realistic characters, fast-moving plot. Kept me up until I finished it! An interesting story with the National Park playing a big part. It has a bit of romance, but clean and suitable for teens. Descriptive! While reading, I felt part of the story and lived the excitement! 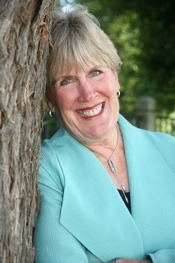 Just enough education about Federal parks plus mystery and a little romance. Thoroughly enjoyable!